The automotive industry is making major strides toward pre-recession heights. The Wall Street Journal recently estimated that 14.4 million new vehicles were sold in 2012, and industry experts believe that number will increase to 15 million this year. Additionally, mechanics are playing a huge part in the recovery process. According to Polk, a research firm, the average vehicle on the road is 10.8 years old. The age is a record high and indicates that drivers are investing heavily in regular maintenance. Car dealers and mechanics can capitalize on the their industry’s recovery by developing effective marketing campaigns and fostering loyalty among their patrons. Tools like direct mail and unique promotional products can help automotive establishments find new customers and increase business. Drivers shop around for new cars and research all of their options before committing to a purchase. While price is always a key factor in every sale, consumers’ opinions of dealership agents is equally important. 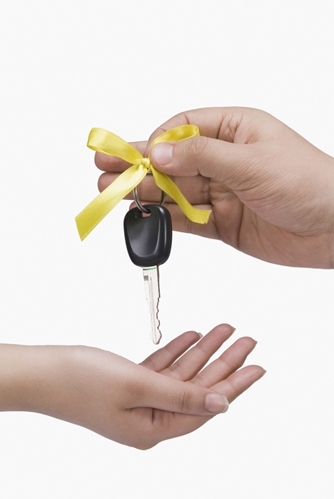 Salespeople must be friendly and create lasting impressions to move vehicles off the lot. Representatives can distribute promotional marketing products as gifts to every prospective buyer to create a positive image. Promotional pens and notepads are the best presents dealerships can give away. Potential customers can use the functional items to write down important information about new vehicles so they can review their options at home. The gifts show that sales agents want drivers to understand all of the available features and options before making such a significant purchase. Additionally, consumers might use the presents when they visit other dealerships and develop brand recognition of the business that distributed the promotional items. A car dealership must also raise its visibility among consumers who are ready to buy new vehicles. While the average car is over a decade old, some drivers are willing to make a purchase rather than continually pay for costly repairs. Businesses can buy mailing lists and send out personalized cards to leads. Dealerships can even mail promotional calendars and put a different model of vehicle on every page. Consumers have become increasingly frugal while the economy slowly inches toward sustainable levels of recovery. As noted above, drivers are keeping their vehicles longer than ever in order to save money. Vince Buck, a garage owner and former NFL star, told the Times-Picayune that his customers would rather pay for small repairs than foot the bill for new cars. “A lot of people don’t have extra money. People are looking to spend a little at a time,” Buck said. Branded gifts can be effective marketing tools for mechanics. Garages can distribute the same calendars as dealerships, but can add a twist by including coupons. While routine maintenance is cheaper than buying a new car, the charges can still cost a pretty penny, and some drivers might hold off on some repairs to save money. Mechanics can include promotional discounts for basic jobs like oil changes to encourage monthly business. Alternatively, mechanics can reward loyal clients by giving them the means to fix routine problems. A branded tire gauge is a great gift for regular customers who worry about their tire pressure. The tools can ease drivers’ minds. A promotional emergency kit allows clients to handle major problems whenever they arise. Customers appreciate businesses that go the extra mile, and distributing emergency kits shows that mechanics care about their clients. The gifts can reinforce the relationships between a garage and its patrons.